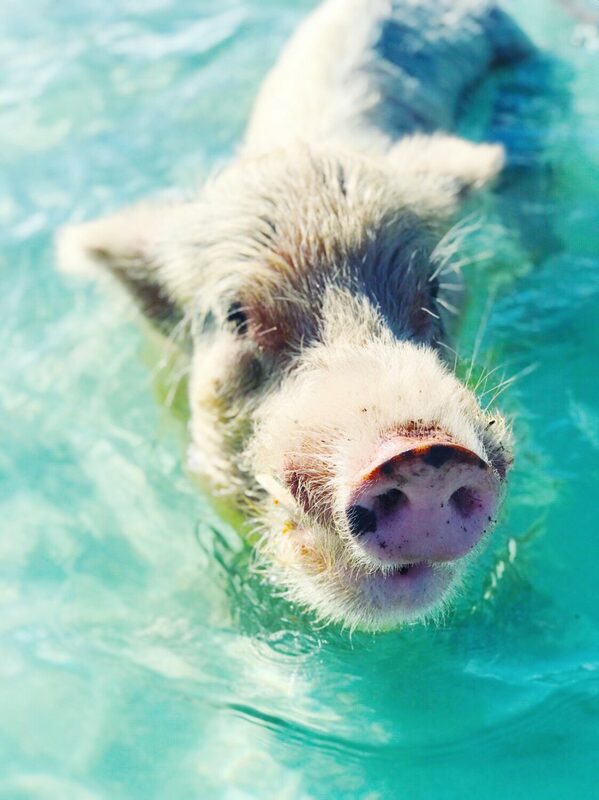 Swimming With the Pigs in Exuma | hi Sugarplum! 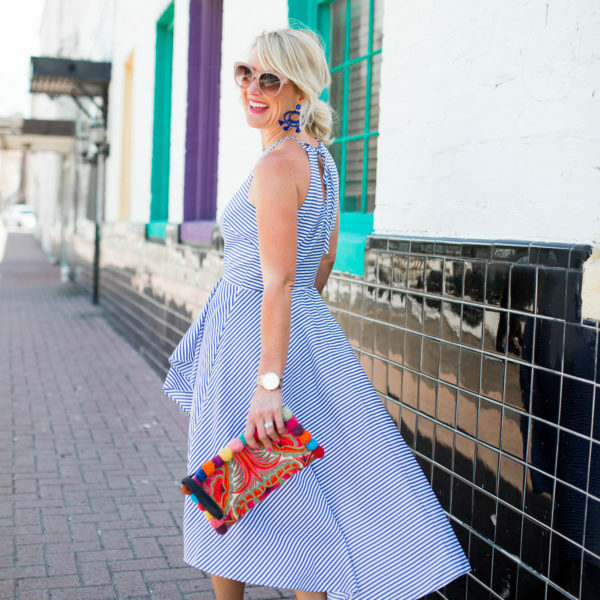 Thanks for your love on yesterday’s halter dress styled for Day and Night! 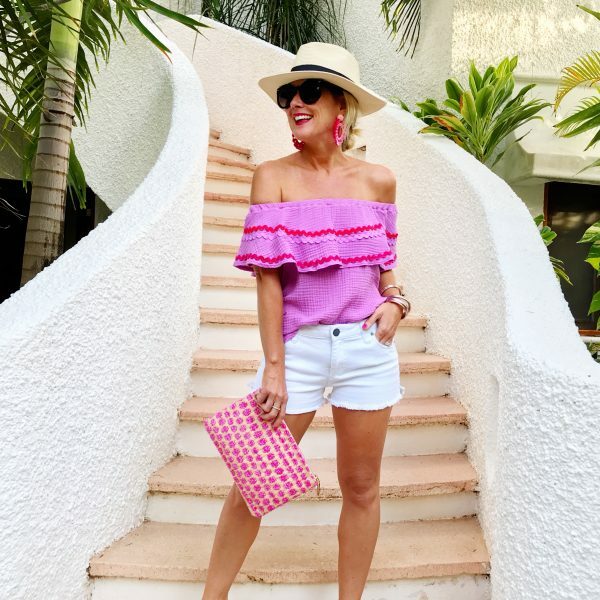 I’m so happy those posts inspire new ways of styling for you. 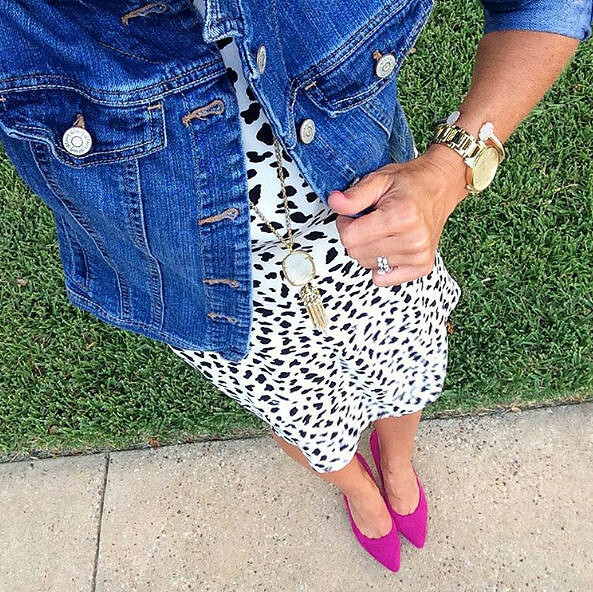 And just wait until tomorrow’s Work and Weekend post…darling Spring outfits at amazing prices! 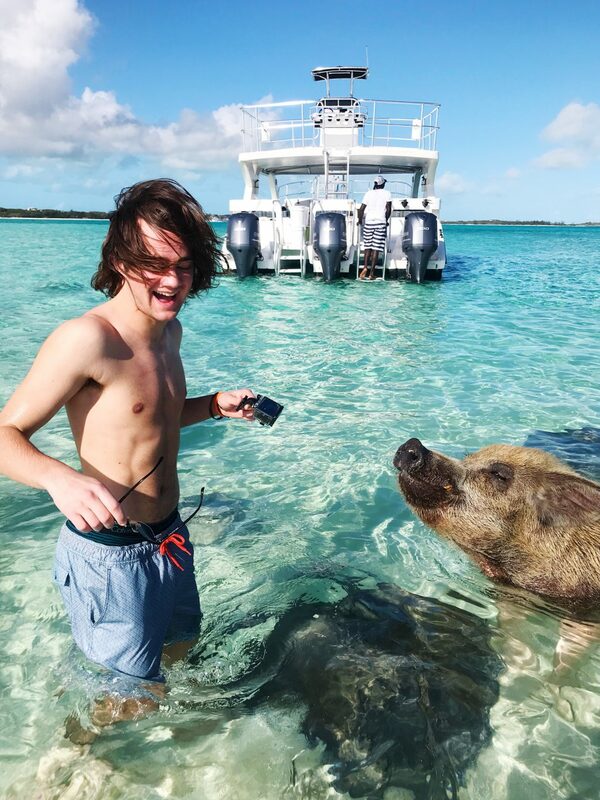 Today’s post has been highly requested since returning from our Spring Break trip to the Bahamas…our experience swimming with the pigs! Turns out, this is a dream experience for many of us, so I’m excited to share all the details of the fun day. 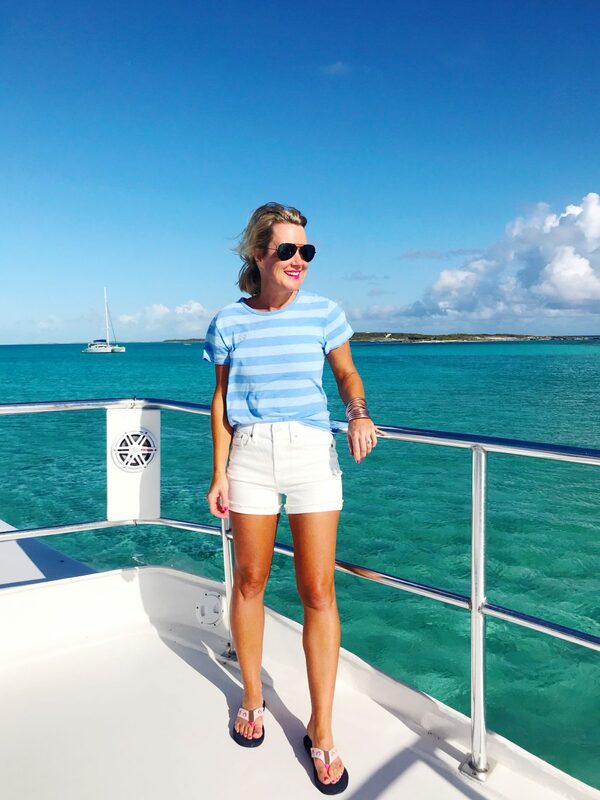 Don’t worry, a full Trip Report on all things Exuma is still coming, but this day deserved a post all its own! As always, I’ll tell it like it is…the good, the bad, and the ugly. Except in this case, there was no bad, but there was a little ugly! Ha! 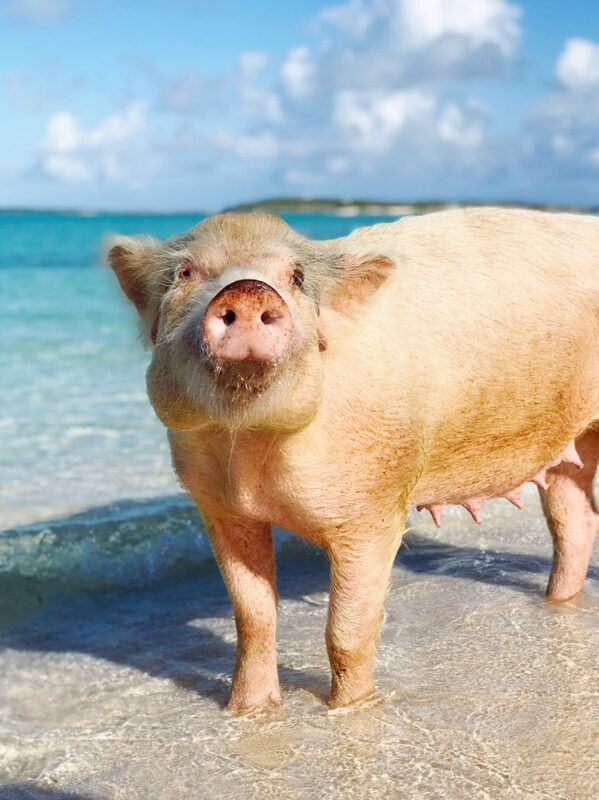 We joke that my friend Emily is the unofficial mayor of Exuma (she’s been 15 times! ), so I followed her recommendations for our trip…and all were spot-on! 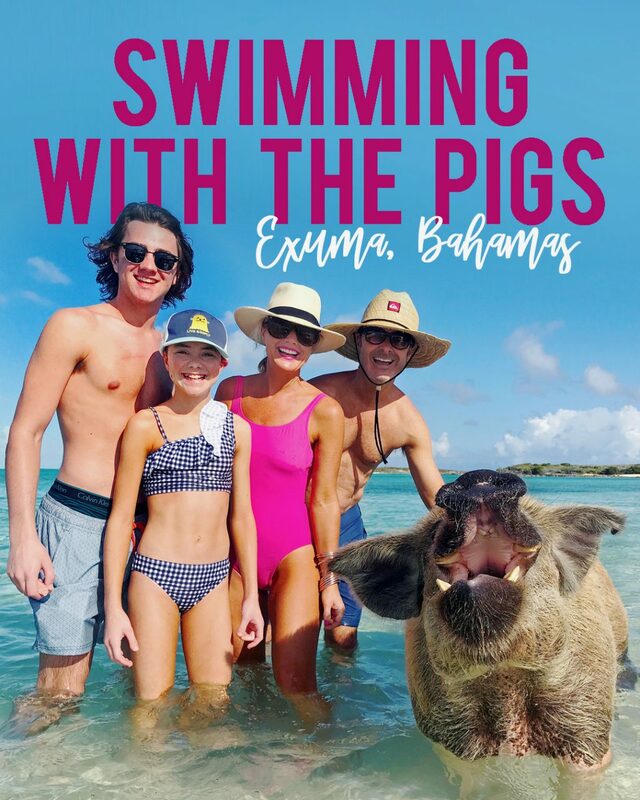 Starting with booking our Swimming with the Pigs excursion through Exuma Water Sports. 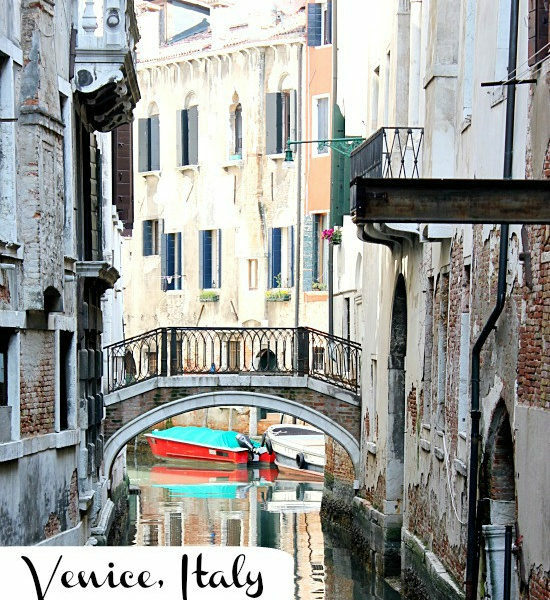 They offer full or half-day, and group or private tours. We opted for the half-day group tour, and lucked out with only 20 people on our trip. The boats are really nice and in pristine condition, with plenty of covered seats, and an open-air top deck. The water in the Bahamas is really calm, so the ride was a smooth one. The boats are stocked with cold water, sodas, and beer, and some snacks are provided. They also have great snorkeling gear in perfect condition, along with pool noodles and life jackets. 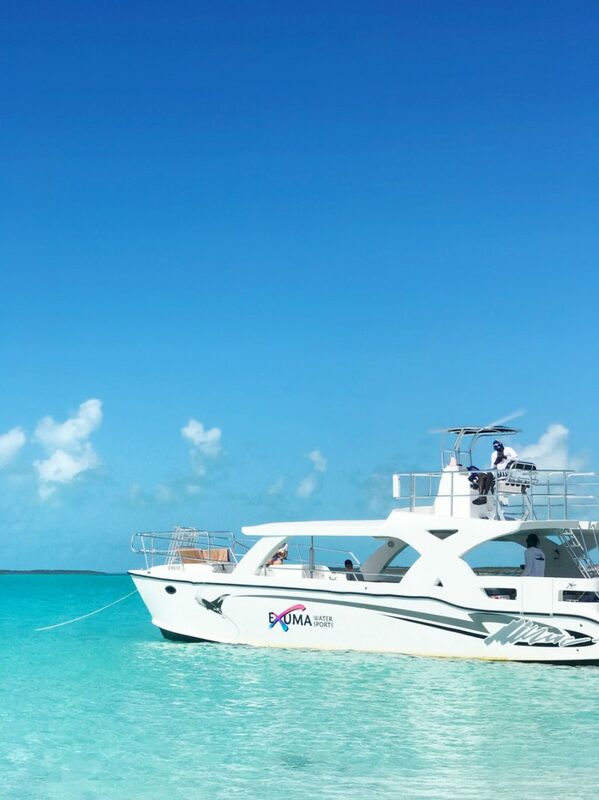 Sugarplum Travel Tip: Exuma Water Sports offers a free shuttle pick-up from your hotel, but they are located at the end of the island, so allow ample time to arrive if you’re driving yourself. Check-in was easy and fast, and we were on our way minutes later! 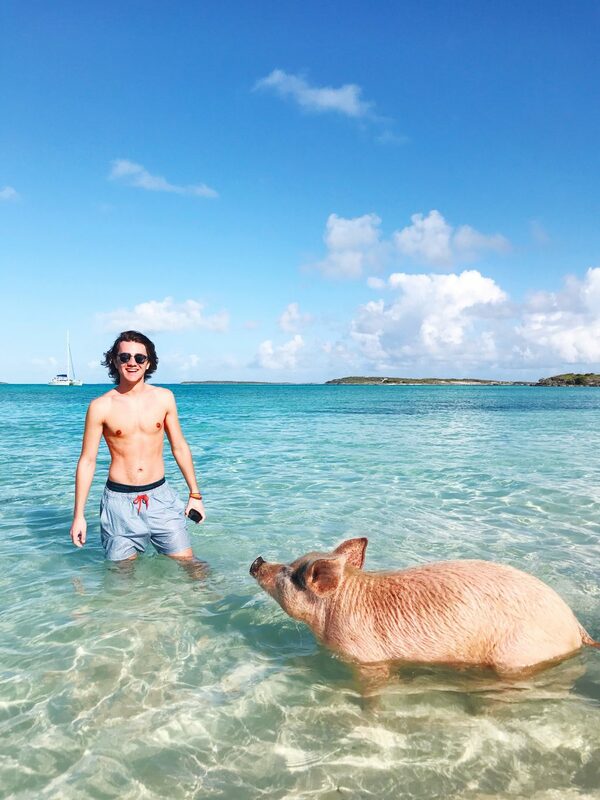 Everything in Exuma is casual, including boat rides to the pigs. 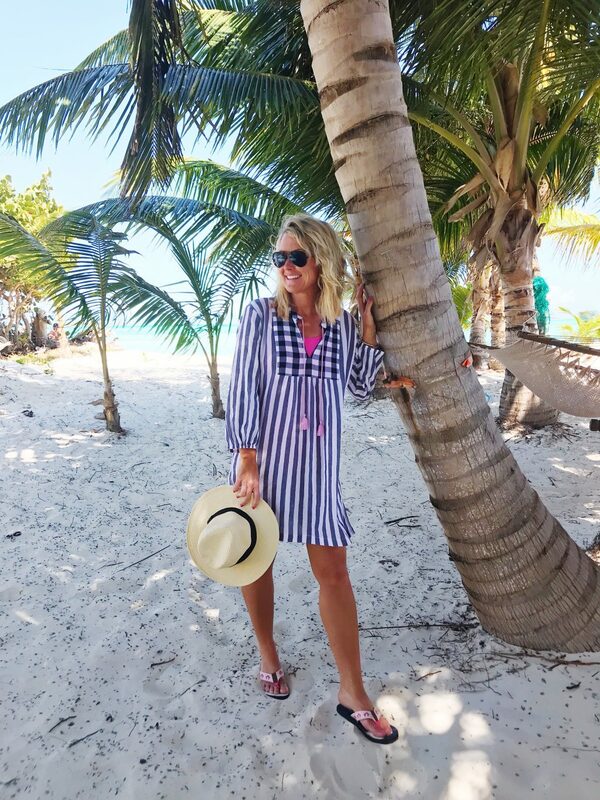 I wore this striped cabana tee several times on the trip, so soft and comfy. And these shorts will definitely be on heavy-rotation this season! The high-waist is crazy-comfy, and has a magical way of lengthening legs. The denim is soft and stretchy, and the pockets don’t show through the white. Plus, they’re both 50% off + an extra 20% off, making them both under $25! Fit Tip: I sized up to a small in tees for a relaxed fit (grab them now while they’re 3 for $30!! ), but size down in the shorts (trust me). I’m wearing a 25. And I never wear a 25! First stop of the day is the pig’s private island, Big Major Cay. 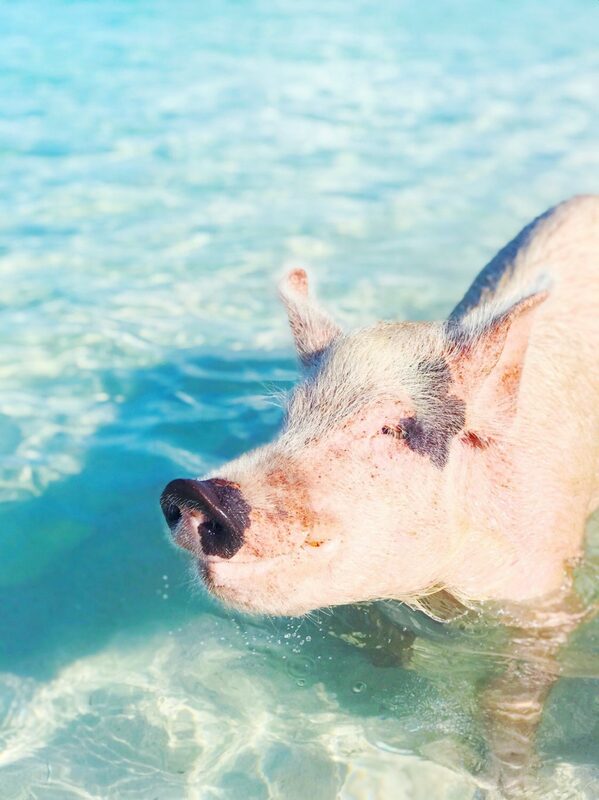 They are actually wild, feral pigs…left behind by a farmer years ago, but now lovingly cared for by the people at Exuma Water Sports. The moment they hear the boat engines, they rush to the water like a pack of rambunctious puppies. As do the stingrays! 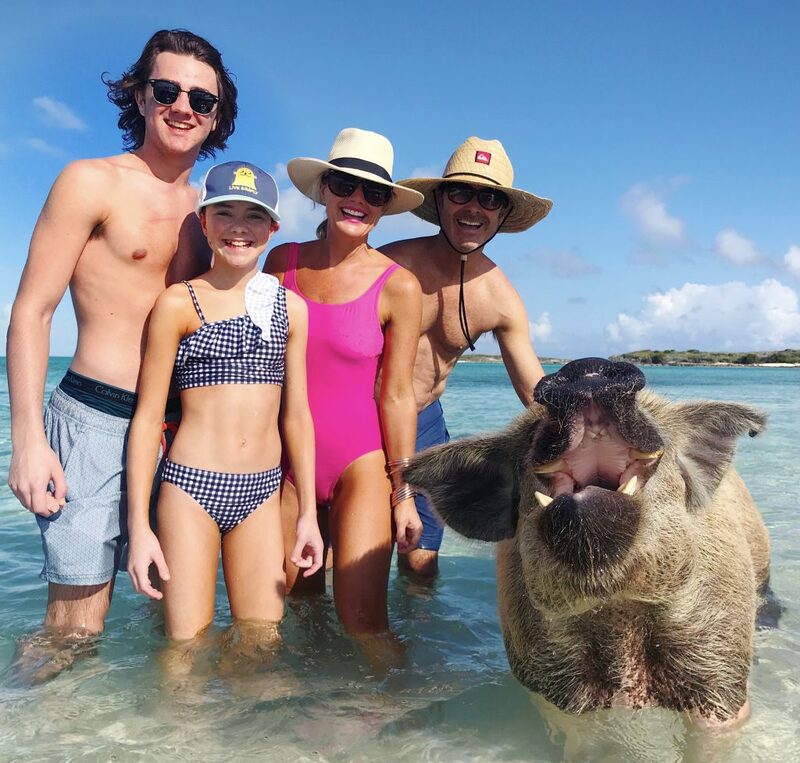 Sugarplum Travel Tip: There’s a big rush as everyone scrambles to get off the boat…a cluster of people and overly-excited pigs and stingrays. It can feel a little intimidating, so I’d recommend staying on the boat for a few minutes until things calm down. You’re actually here for 45 minutes to an hour, so there’s no rush. 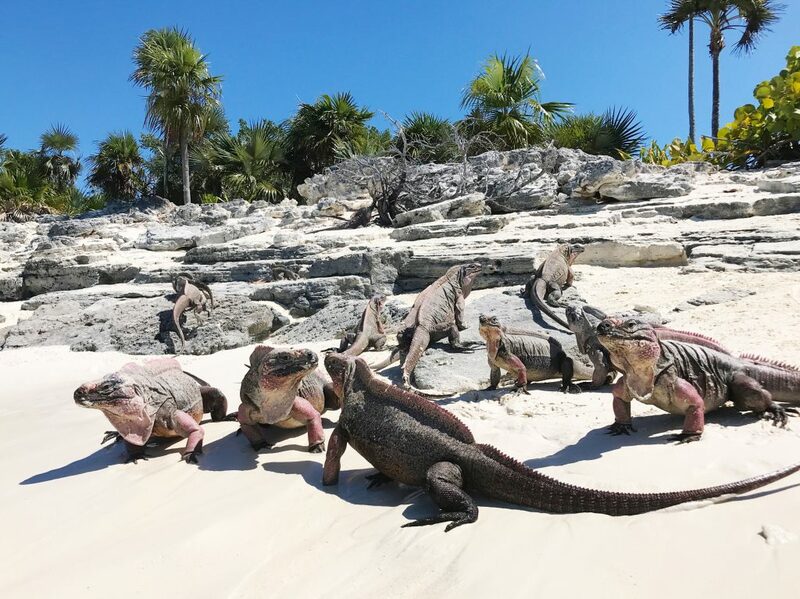 Everyone gets ample time to see and feed the pigs and stingrays (carrots and hot dogs), it’s just more fun once everyone settles in. Others not so much! They mostly waded around in the shallow water, but can swim out deeper, too. They come right up to you, and were constantly bumping our hands looking for food. If they get too close or intense, a quick splash in the face pushes them away. 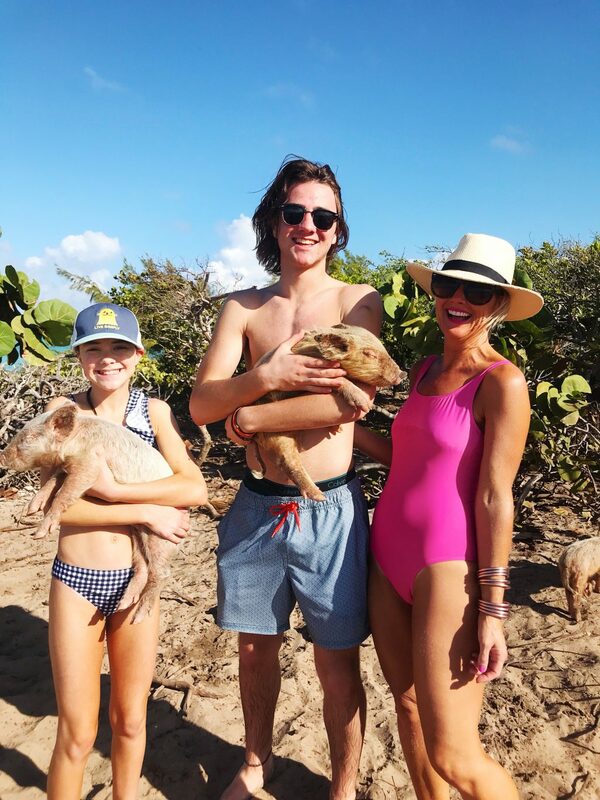 The kids jumped right in, and Little Miss headed straight to the beach for the baby pigs. They weren’t exactly cuddly, but they did allow you to pick them up, and the mama pigs could not care less! No pigs for me, thanks! 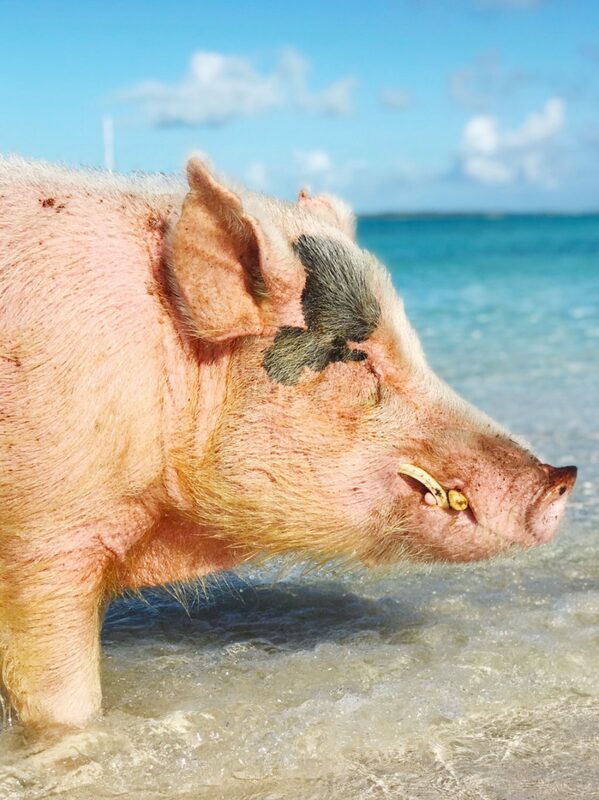 Sugarplum Travel Tip: Take the morning trip for cooler weather, and hungry pigs and stingrays. But be warned, what goes in must come out! A couple of the pigs did poop in the water towards the end of our stop, but you see it coming and can easily avoid it. The water here is unlike any I’ve ever seen! It’s truly as clear as a swimming pool, and more blue than the sky. Most days it’s as calm as a lake, and you can wade out so far with it never going more than waist-deep. 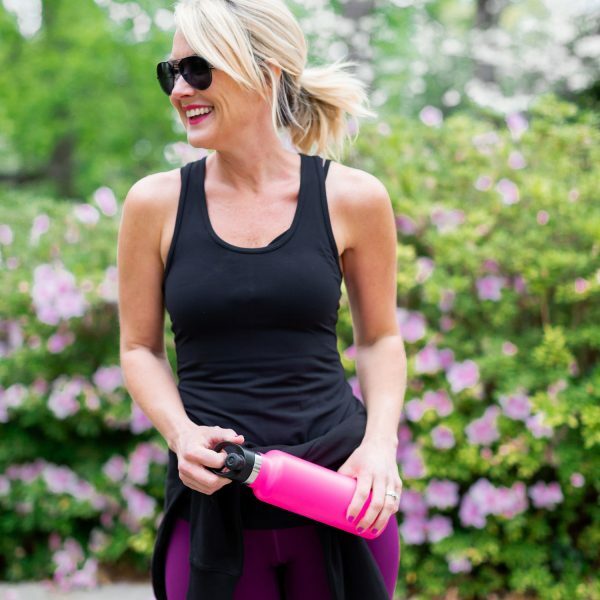 This scoop back one-piece was perfect for the active day! Everything stays in place and fully covered, plus it’s flattering and chic. I love it as a tank top with these high-waisted shorts, or under a coverup, too. Fit Tip: I size up one in swimwear, and am wearing a small. The suit is fully-lined with a built-in shelf bra (no pads). It’s 50% off, too! 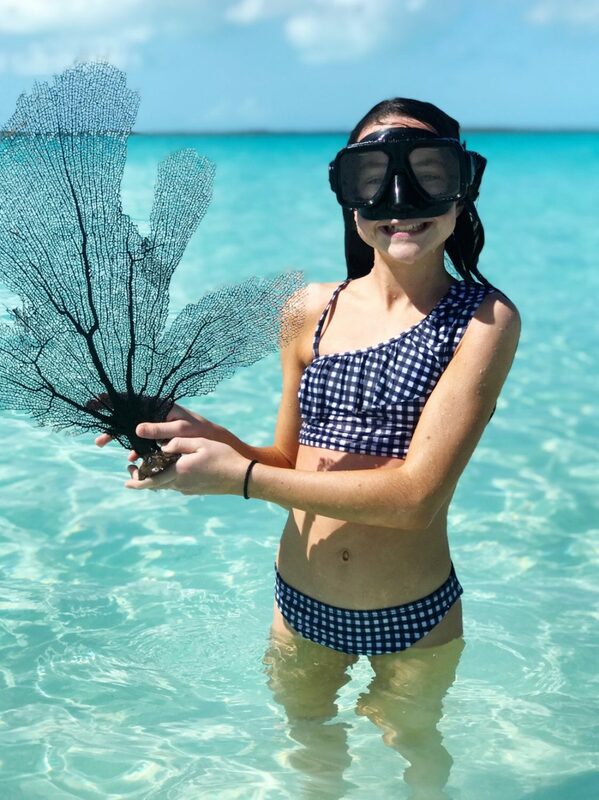 After we said good-bye to the iguanas and their picturesque island, we headed out to snorkel a few reefs, and even a 35-foot blue hole teeming with giant stingrays! The tour ended with a dance party on-board the boat (or maybe that was just me?! ), and we were back at the dock by 12:30 (3.5 hours later). Since we’d driven ourselves, we headed straight for lunch, and explored that area of the island for the rest of the afternoon. 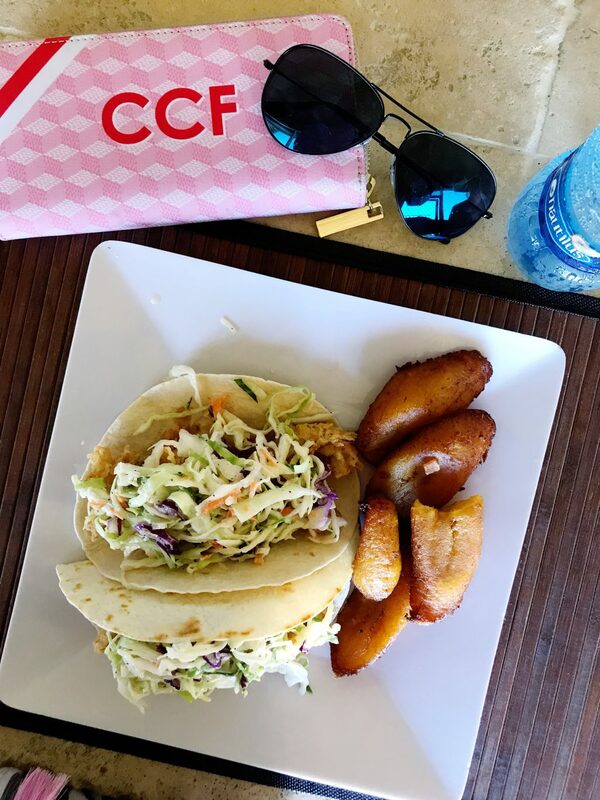 Lunch at nearby Shoreline Beach Club is a must…the fish tacos are divine!! And plantains…I think we all ate them with every meal! It’s on the shore of a pristine beach, with picnic tables and shaded hammocks. Fit Tip: Size up one in this one, I’m wearing a small. 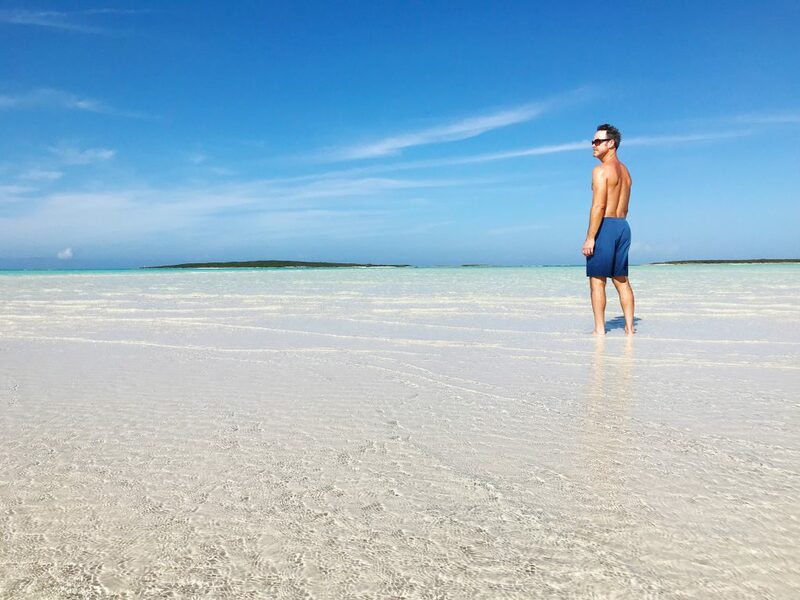 The people, the water, the kindness everywhere you go…it’s all what makes Exuma so special. And while I wouldn’t necessarily do it again, we all loved every second of this day and it will forever be a favorite memory! Have you every been swimming with pigs? 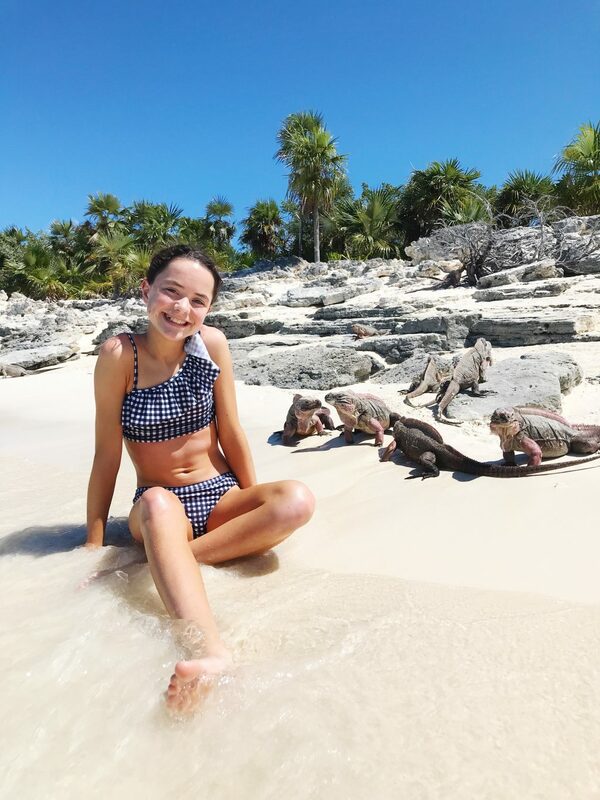 What’s one of your favorite vacation experiences with your family? 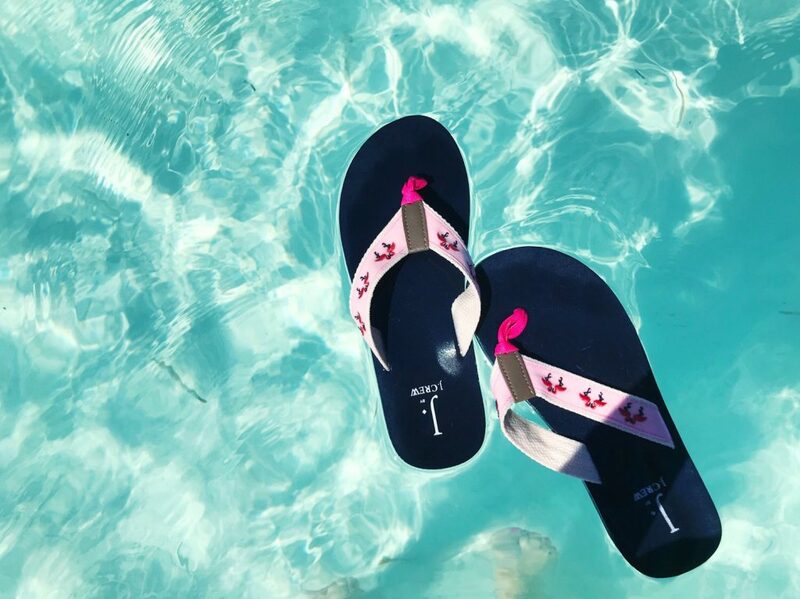 Shop all our beach styles and more at J.Crew Factory, and take advantage of their Flash Sale…50% off site wide! 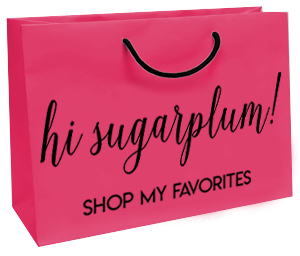 Plus, an additional 20% off with code EXTRAEXTRA. It’s a great time to stock up with these crazy-good prices! How freaking fun is that?! I love seeing your adorable family and Little Miss is seriously so darling!! Jordan would get the biggest kick out of her! Great pics and wonderful memories!!! OMG This is awesome!! those pigs are so cute!!!! Thanks for sharing all the deets! Happiest pigs (and people) I have ever seen! 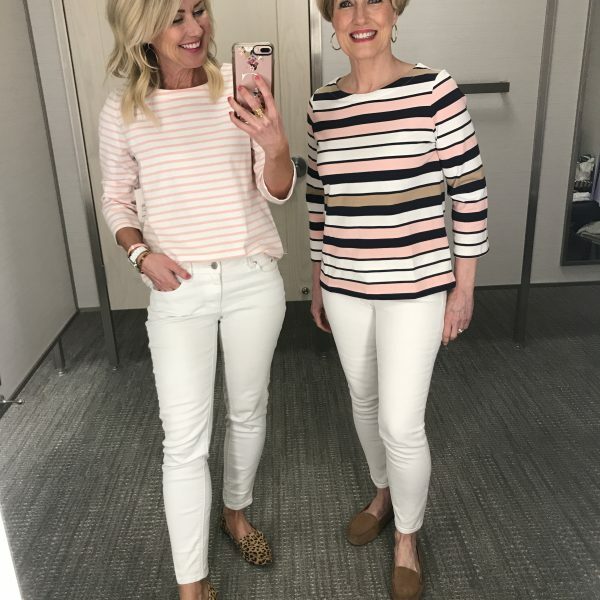 I love those Jcrew studio tees, and this new, wide striped version is perfect. One of my favorite memories is hiking the Vallecito Creek Trail with my husband, daughter and dog (who looks just like your older dog). 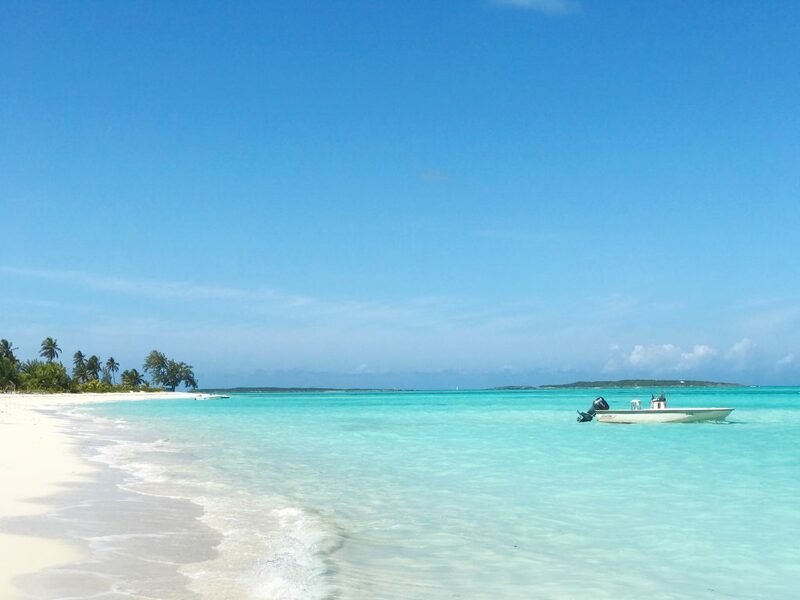 Exuma looks wonderful. I love beach trips, too. 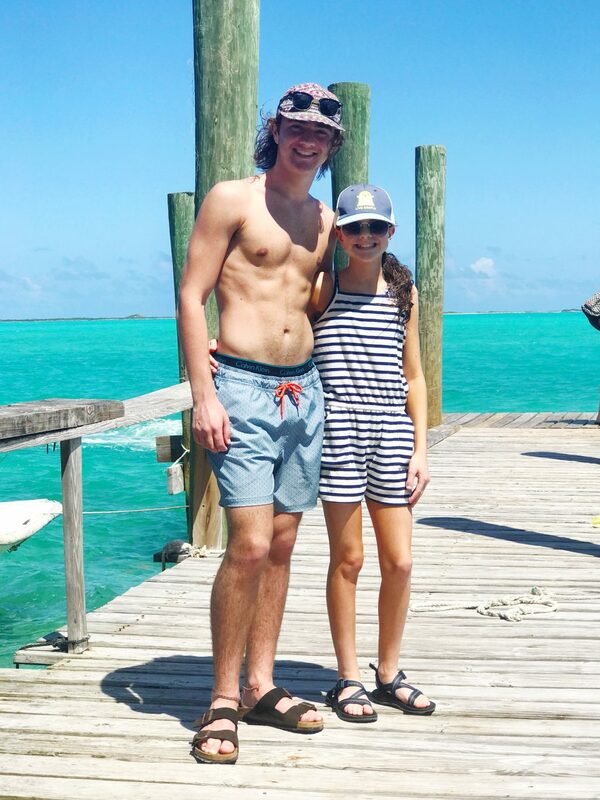 We stayed at Grand Isle Resort and Spa! I`m not sure about swimming with pigs, this one looks friendly enough.